MS PATTEN (Northern Metropolitan) (14:26:06) — My question is for the Minister for Health represented by Minister Mikakos. The Victorian Oral Health Alliance estimates that only 16 per cent of those eligible to receive public dental care actually receive it. In my electorate, at Your Community Health in Darebin the wait for eligible adults seeking general dental care is 22.8 months, and the state wait time is 19.7 months, which is a 67 per cent increase since 2015. The result of these wait times is avoidable deaths, induced illnesses including periodontal-related coronary disease, stroke, vascular disease and pancreatic cancer. The avoidable downstream cost to the health system is about $7 billion a year. This is of such concern that community health dentists are taking unprecedented strike action tomorrow. My question is: how is the minister going to tackle these alarming wait times and provide treatment to 150 000 Victorians? 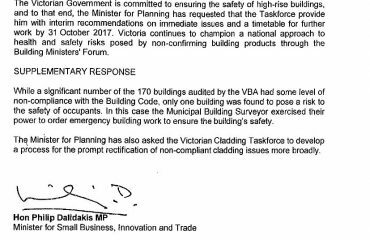 MS PATTEN (Northern Metropolitan) (14:31:24) — Minister, I am afraid I do not think that really answered the question about what the Victorian government was doing. However, by way of supplementary: dental therapists provide many of the same services as dentists do, including fillings, and they cost 30 per cent less, so will the minister act to increase the number of dental therapists in the public system so as to improve the bang for buck in terms of public dental spending? Will gov listen to experts?